How Long Until This Wicked And Deranged Woman Steps Down? Can you be deranged and still wicked, or does an unbalanced mind excuse immoral and harmful actions? In the case of Theresa May there can be no excuse. Her wickedness is persistent and has been since 2010 when she entered government as Home Secretary. She refuses properly to consider the consequences of her actions. She refuses properly to consider expert advice and evidence. Her explanations of why she persists with damaging policies are at best disingenuous but more often deliberately deceptive. She runs everything on the basis of her personal opinions, prejudices and with a myopic determination that some mistake for strength but is actually bull-headed ignorance. Her continual evasion of proper answers on NHS funding must be her most serious deception. Yes, the NHS may well be seeing more patients, performing more operations, receiving more funding every year but the gap between demand and delivery is widening ever further. Does she think the electorate is so stupid as to be taken in by her deflection and refusal to answer questions properly? Perhaps she does. Many politicians seem to think they can get away with such bluster and deceit and there is so much fatigue over the nonsense these people try to palm us off with that, to an extent, she is correct. The electorate is not provided with proper means to hold our politicians to account because of course it is politicians that would have to implement such reform. She is exactly the same on nearly all issues. 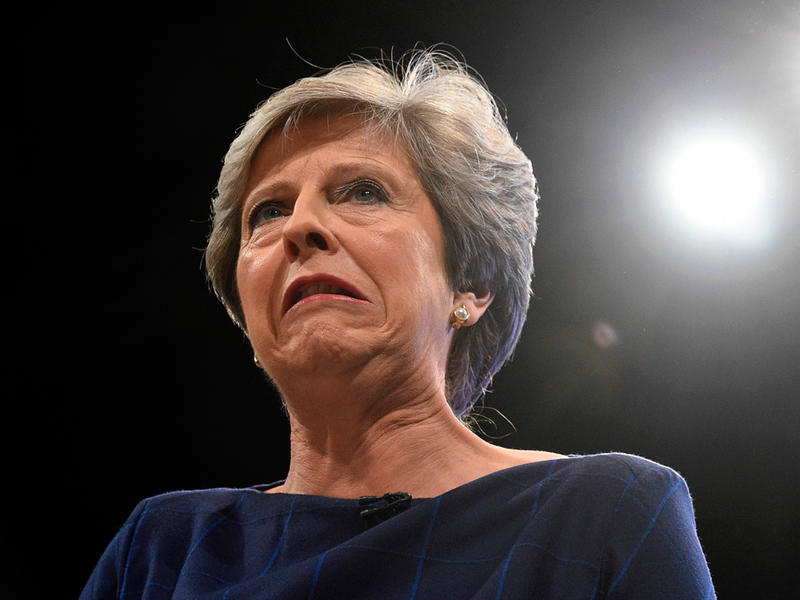 She has successfully buried the child sexual abuse scandal, the misconduct of the British press and the refusal to continue with the Leveson Inquiry, the criminal complicity of local and national government in the Grenfell Tower tragedy. She is deceit and untruth personified when it comes to the Carillion scandal and all aspects of government outsourcing which is a deeply corrupt policy, not in the interests of anyone except politicians. And what other leader anywhere in the world, apart from the murderous thug President Durterte of the Philippines, has recently called for a continuance of the war on drugs? Like most UK voters I am tired, cynical and fed up about the behaviour of our politicians who are entirely self-regulating, self-serving and have no interest in making themselves properly accountable. They have all forgotten that they’re there to serve us and not the other way round. At two periods in my life I have been a member of the Conservative Party but I fervently hope that at the next election the party receives the biggest drubbing ever in its history. I am also now firmly of the opinion that religion can play no part in politics and any politician who calls on their religious faith as some sort of qualification for public office should be disbarred for life. I consider that people should be free to pursue whatever belief they wish as long as they do not impose on or affect others but to bring such delusion into any aspect of public life should result in summary dismissal. This is the 21st century. Any politician such as Theresa May who proclaims her faith as a factor in the way she works is not fit for public office. Hopefully the one thing Theresa May has achieved is to make the Conservative Party unelectable for a very long time. Even better would be that is is destroyed and the centre right of UK politics has to rebuild itself under a new banner. I am not optimistic about a Labour government. I admire Corbyn even though I don’t agree with him about many policies but it is the Labour MPs who concern me, most of whom are exactly the same as Tories, only out for themselves. Never since the time of Cromwell has this country been so ripe for revolution. I don’t expect it to happen imminently but unless the younger MPs can work together to reinvigorate our politics then I do believe Britain will continue to slide towards some sort of violent uprising. We cannot, we must not and we should not tolerate any longer the weak, ineffectual and corrupt politicians that have led our country for the last 30 years.